Wholesale Manager is an ABC-Audited, monthly magazine, which is distributed to senior buyers, directors, managers and other decision makers within the UK wholesale and cash and carry industry. These individuals represent all the major companies in the UK wholesale sector. 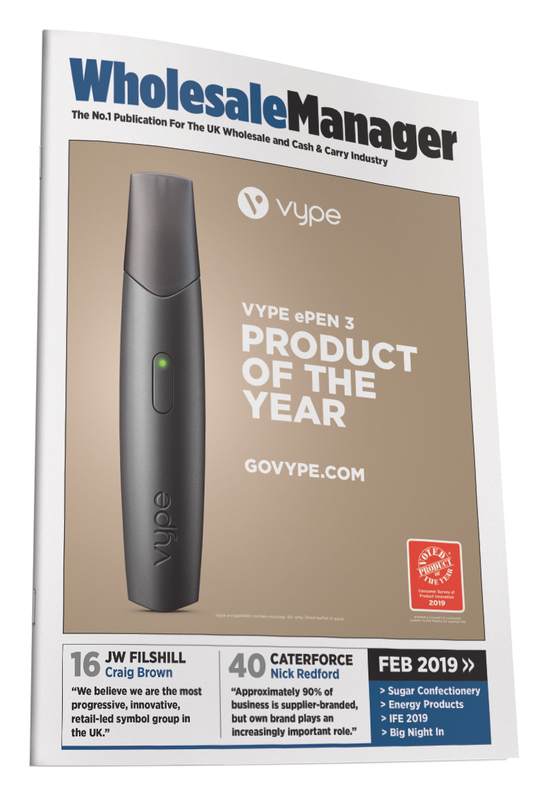 Wholesale Manager provides wholesale professionals with an informative mix of cash and carry and wholesale industry news, product reviews, interviews and features on a broad range of subjects. The magazine works closely with the major wholesalers and their suppliers to make sure we offer fully representative coverage of the industry. Wholesale Manager was launched in 2008. Senior buyers, directors, managers and other decision makers within the UK wholesale and cash and carry industry. 21,945 ABC-Audited copies of Wholesale Manager are distributed in both print and digital format 12 times a year. For more information on Wholesale Manager please visit www.wholesalemanager.co.uk or phone 01923 272960.